Single and Couples Massage is a simple natural way to improve circulation, skin tone, skin colour, muscle tone, and flush tissue of lactic acid. We provide hot towels to compliment your treatment and to remind you that your comfort and well being is very important to us at all times. We pride ourselves on customising our massages to cater to your individual needs on the day of your treatment. Relaxation massage is a nurturing way to melt away the aches, pains and discomforts that life and work can cause. Remedial massage release chronic tension in the body, soothe the nerves, creates self awareness and calm. It promotes a general sense of well being and helps connect the body and mind. The pressure of the strokes can be adjusted to your liking. Reiki is an energy healing which promotes one to feel refreshed, more positive and have a more balanced outlook. It encourages one to let go of all tension, anxiety and other negative feelings. Aromatherapy is a holistic treatment that can treat the mind, body and spirit. 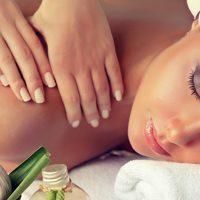 During the massage essential oils are blended with massage oil and applied to the body, they enter through the skin and are circulated around the body to create a sense of emotional and mental wellbeing. Aromatherapy can have a wide range of benefits, from the physical to the emotional which can be obtained through inhalation or by external application. Pregnancy massage is a lovely option for prenatal care. It can provide relief of back pain, headaches, and achy feet, relax tense muscles, improve circulation and mobility. Our pregnancy massage is typically performed with the client lying on their side supported with as many pillows as needed, however other positions can be accommodated. Women with high-risk pregnancies should consult with a doctor or midwife before booking in a session and may require a doctor’s certificate to proceed. The perfect massage is to relax the entire body, Swedish Massage can also help improve blood circulation, increase the level of oxygen in the blood, help the body removes toxins, improve flexibility, ease tension and helps with pain management.